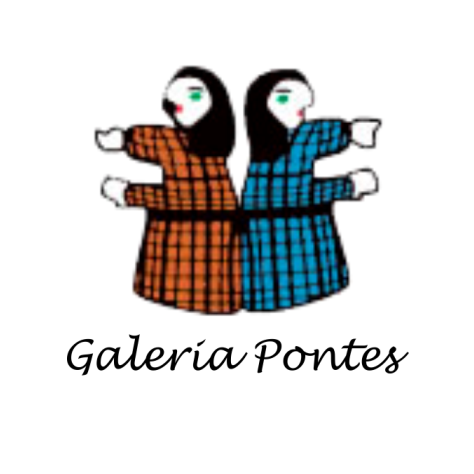 The Petuba sisters: Zenilda (born in 1963), Zenaide (1965), Zeneide (1967), all of them daughters of Marinete (1944), were born in Arapiraca, Alagoas. Marinete started to work as a seamstress and she made dolls for her daughters with patches of cloth. The daughters started to do artwork with the master Zezito Guedes of Arapiraca, sculpting on stone, in 1993. They took the cloth dolls to ARTENOR in Maceió. This also proved to be successful. They went on to paint pictures for sale. After this additional success, they were stimulated to go on with their work on cloth and embroideries, and they reportedly did it for the fun of it. This is presently the whole family’s main activity. 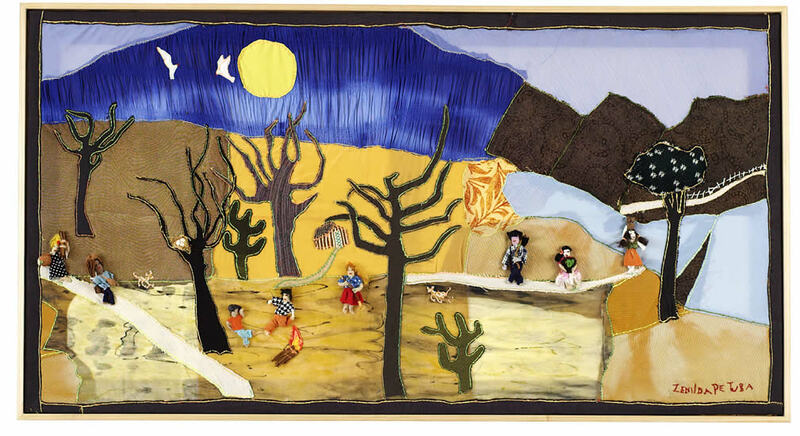 They create pictures and panels stitching up patches of cloth, generally portraying childhood scenes and life in the hinterland, works that charm us for their rare ability in terms of composition, perspective and usage of colors. The mother makes dolls and cloth panels. The daughters alternate between sculptures and cloth panels.